An executive, consultant, or salesperson may find themselves in a situation where they have an opportunity to buy a business. Oftentimes, people don’t follow up on these conversations because they don’t feel like they have the means to purchase a company. 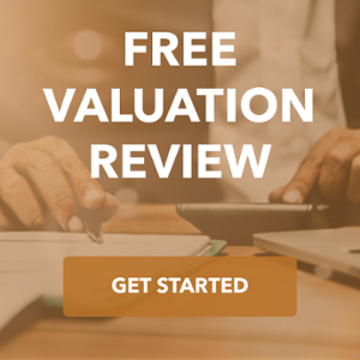 TKO Miller works with individuals who have a company to purchase and the expertise to run it but simply need to find a financial partner to make it happen. We use the same relationships and techniques used in a sale or recapitalization to make sure that you are partnered with the right financial group. 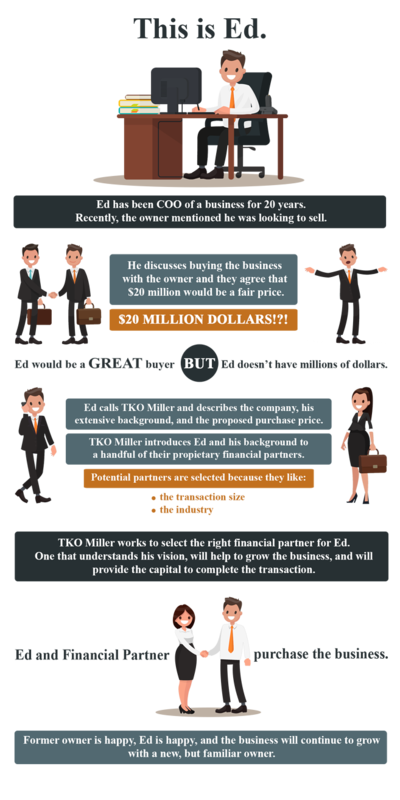 In these transactions, TKO Miller can also invest its own capital alongside the executive, adding credibility and experience to the investor group. Our extensive relationships with private equity give us the ability to match the right financial partner with potential transactions in a variety of industries and business life cycle stages.